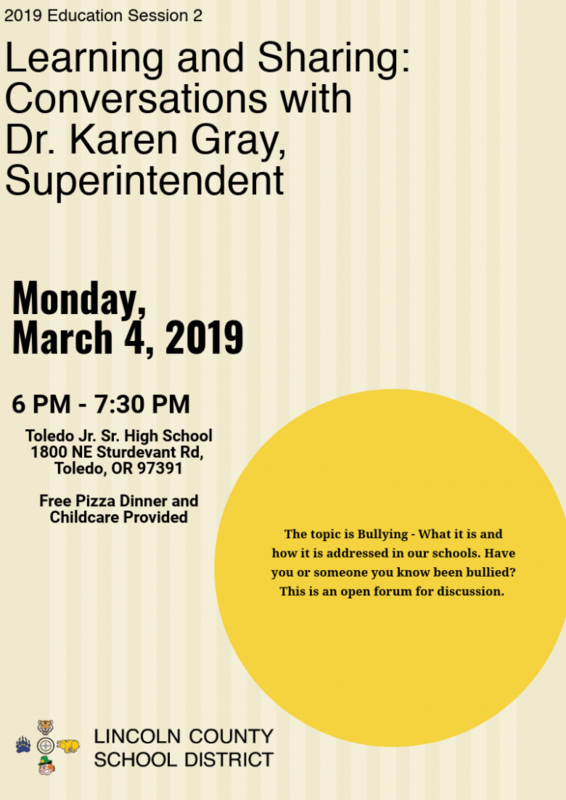 Dinner and Childcare Provided – Open to all Community Members, especially those with a child in our schools. 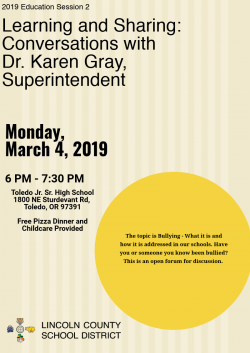 The topic is Bullying – What it is and how it is addressed in our schools. Have you or someone you know been bullied? This is an open forum for discussion.